Biometry uses biomarker data gathered from a breathalyzer and pairs it with predictive analytics and clinical oversight to prevent asthma attacks. Determine if the cause of symptoms or attacks is related to misuse of inhaler, adherence, ineffective dose, or the wrong medication. We also identify persistent exposure to asthma triggers. Our software and clinical team helps make the data actionable for both patients and physicians to optimize therapy and prevent attacks. 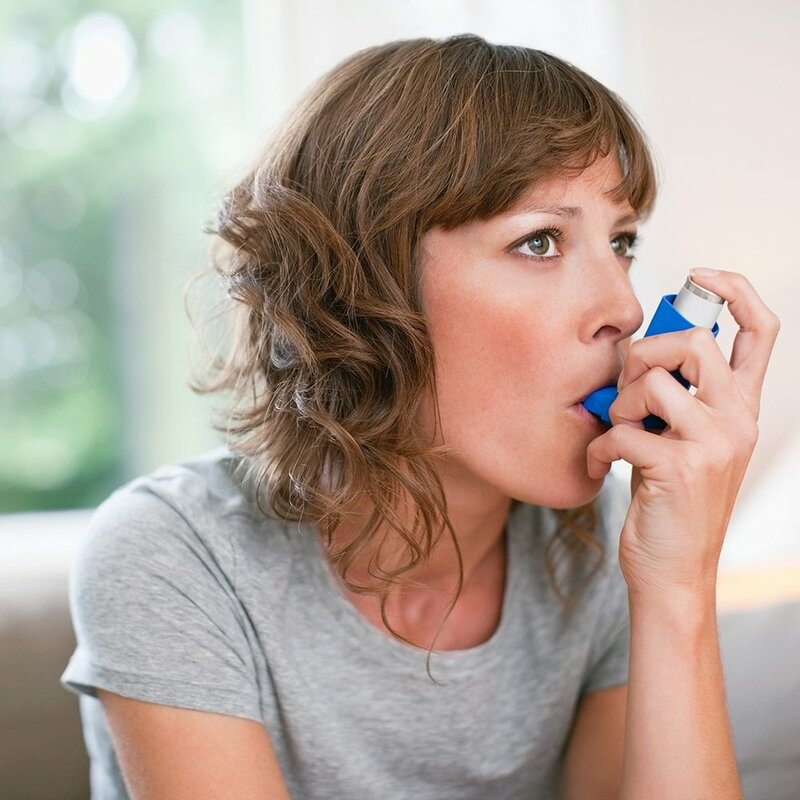 Biometry changes perceptions about asthma severity by delivering personalized insights showing patients when they are at risk for an attack even if they don't have symptoms. Biomarker is elevated. Patient alerted of their risk and reminded to take their medication. Patient uses inhaled steroid to reduce airway inflammation. Biomarker levels are reduced within 1 day. Patients can visualize the anti-inflammatory effect of the drug and how it reduces risk of an attack. Homan S, Vantuinen M, Gaddy PD and Yun S. The Burden of Asthma: Delineation of Acute Healthcare Utilization among Asthma Patients in Missouri, 2007-2009. Chronic Dis Int. 2016; 3(1): 1023. Global Initiative For Asthma. 2018 Global Initiative for Asthma Report: Global Strategy for Asthma Management and Prevention. https://ginasthma.org/2018-gina-report-global-strategy-for-asthma-management-and-prevention/ Accessed September 4, 2018. Wang Z, et Al. The Clinical Utility of Fractional Exhaled Nitric Oxide (FeNO) in Asthma Management. Comparative Effectiveness Review No. 197 (Prepared by the Mayo Clinic Evidence-based Practice Center under Contract No. 290-2015-00013-I). AHRQ Publication No.17(18)-EHC030-EF. Rockville, MD: Agency for Healthcare Research and Quality. December 2017. Biometry's technology and products have not been approved or cleared by the FDA and are not available for sale. Product under development.